For patients who are interested in orthodontic correction, but would prefer to avoid the bulk, stigma, and discomfort of traditional metal braces, Invisalign may be the right option for you. With Invisalign, you can correct your bite and straighten your teeth without wearing unsightly metal braces. The process is simple, the treatment is fast, and there are many other benefits of Invisalign. Dr. Gavin is an Invisalign specialist, and the team at Olentangy Modern Dental would feel honored to be a part of your journey to a straight, confident smile. Invisalign is a modern alternative to traditional metal braces. Rather than brackets, wires, and rubber bands, Invisalign uses a series of clear, plastic aligners to gradually shift your teeth into a better position. These aligners are comparable to a retainer and are made of an extremely thin, durable plastic. Over time, each set of aligners gently moves the position of your teeth, leading to a more attractive smile. The first step is to come in for a consultation with Dr. Gavin to discuss your options and assess whether Invisalign is right for you. After you are confirmed as a good candidate for treatment, Dr. Gavin will develop a custom treatment plan for you, and your first sets of aligners will be manufactured. When you come in to pick up your aligners, Dr. Gavin will ensure that they fit properly. For the best results, you’ll need to wear your aligners for 22 hours per day, removing them only to eat and drink, brush and floss, or play contact sports that require a mouthguard. Every 2 weeks, you’ll put in a new set of aligners, and every 6-8 weeks, you will see Dr. Gavin so she can track your progress. Most patients need to wear about 20-24 sets of aligners, though this may vary in some cases. The average Invisalign treatment time is just under a year. Invisalign has a number of benefits as a cosmetic treatment. Here are just a few of them. It’s easy to remove your aligners to brush and floss. In contrast, it is much more difficult and time consuming to brush and floss properly with traditional braces. Invisalign is nearly invisible, due to the clear, thin plastic used to make Invisalign aligners. This means nobody needs to know that you are in the middle of orthodontic treatment! There are no brackets or wires with Invisalign, and you can avoid the discomfort and inconvenience of having your braces tightened every 4-6 weeks. Come In For An Orthodontic Consultation Now! 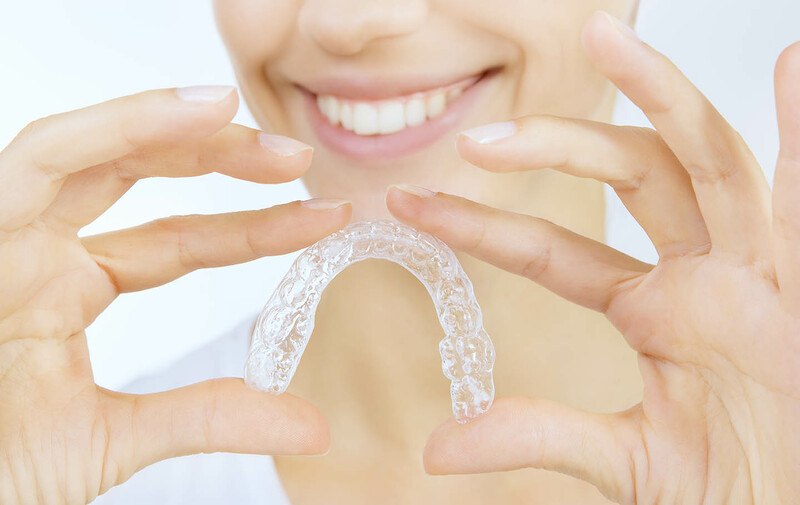 If you think that you could benefit from orthodontic correction, and you’re interested in Invisalign, come into Olentangy Modern Dental for a consultation. Dr. Gavin will examine your mouth and help you understand all of your treatment options, including Invisalign. If you’re located near Lewis Center, Delaware, or Powell, we’re here to help you get the smile you’ve always wanted. Contact us now at (740) 200-5100, or come to our office at 7100 Graphics Way, Suite 3800, Lewis Center, OH 43035 to get started.